Nigel Martin joined the Harcourts team in 2007 after a career in Banking and Finance in the UK, Ireland and Sydney, before making the move to Mt Maunganui Nigel worked in the Commercial Property Finance industry as a Property Finance Manager with the Westpac Head Office in Auckland for 3 years. After selling commercial real estate initially with Harcourts, Nigel stepped into the Sales Manager role in 2009 for the Mount and Papamoa offices and is also an Auctioneer and Director of Harcourts Advantage Realty Ltd. Nigel is driven by achieving outstanding results and supporting a top performing sales team at Harcourts. Dee originally started her career in the Real Estate industry with one of South Africa’s top Real Estate companies, Seeff Properties. 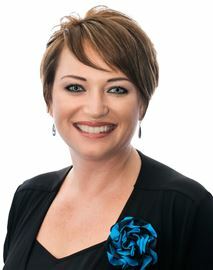 She established herself as a real estate salesperson in the Somerset West area, for more than 10 years. Dee, her husband and two young daughters relocated to New Zealand in 2017 where they first resided in the beautiful South Island, moving to the sunny Bay of Plenty in 2018. Whilst the real estate market is anything but consistent, Dee’s commitment to providing her clients with the highest level of service and knowledge has been unwaivering. Her high level of repeat business is testament to this. A high achiever with a thorough understanding of the real estate market and a dedication to providing outstanding service and results. 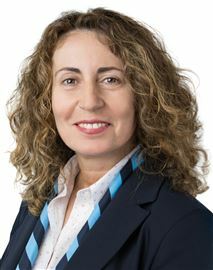 Dee joined Harcourts because the company’s philosophy of honesty, integrity and trust aligns perfectly with her own beliefs and the approach she has used throughout her career in Real Estate. Dee knows only too well the stresses and concerns involved with buying and selling, but also the excitement, joy and satisfaction of achieving a good end result. When selling your most important asset, it is important to interview your agent as if they are applying for a job. The commitment, integrity and determination that Dee applies to all of her work has earned her a reputation of being a Real Estate salesperson you can trust and depend upon. Don’t hesitate, call Dee today for a no obligation chat about your real estate needs. When Kelly Ormsby sits on his surfboard waiting for a good wave, he looks back at the shoreline of Mount Maunganui and Papamoa and can’t resist a big smile. He enjoys the thought of all the families he has helped to make this area their home. Born and bred in Tauranga, this has been Kelly’s home for 40+ years. He launched his career into the Real Estate Industry in 2002 and has achieved great success in terms of industry awards and client satisfaction. He is a keen sportsman, loves the outdoors and enjoys all the water activities our beautiful Harbour and coastline has to offer. Kelly is a full-on community participant in the Mount and Papamoa areas, along with his wife Kyra and 3 kids who all enjoy sport and the outdoors too. 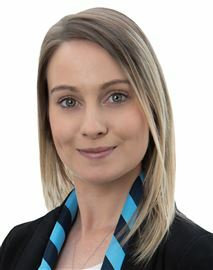 Kelly joined the team at Harcourts Papamoa in 2008, and since then has achieved the following:- No 1 Sales Consultant – Harcourts Papamoa Office 2010-2017 Top 10 Sales Consultant - Harcourts Advantage Realty Limited 2009 - 2017 Top 20 Sales Consultant - Harcourts Central North Island Region 2010 – 2017 No 13 Sales Consultant – Harcourts Central North Island Region 2016/17 These results have been achieved through sheer dedication and his persistence to deliver optimal customer service with a determination to realise his client’s goals and objectives. Honesty and Integrity is his mission statement – in this market nothing else will do. Always looking for solutions, Kelly continually thinks outside the square – his enthusiasm driven by a belief in hard work. Kelly's commitment to his clients’ success is second to none – a philosophy that has earned him countless accolades and referrals – the most telling reference of all. You don’t have to rely on the word of his past clients – give Kelly a call and experience it for yourself. 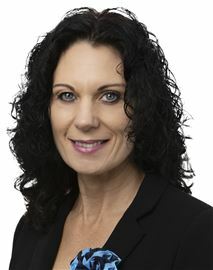 Kyra Ormsby - Marketing Consultant TEAM KELLYO Kyra spent 16 years in the ever changing kiwifruit industry before joining Kelly in real estate. Enjoying the industry so much she did her study and is now a Licensed Marketing Consultant. Focusing on looking after our buyers, she also looks after our marketing and administration and with her commitment and dedication she is an asset to TEAM KELLYO. Kyra has very strong organisational and communicative skills and along with her bubbly vibrant personality will make sure that both vendors and buyers alike with receive a positive experience. Kyra supports Kelly out in the field and is always available to help out when and where required to ensure the vendors and buyers needs are met. 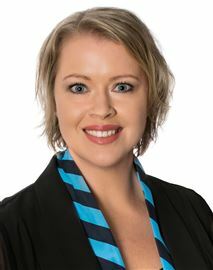 Lynda joined Harcourts as a Sales Consultant in 2004 marketing both residential and lifestyle properties, achieving regular success in the Harcourts Central Region. Prior to Harcourts Lynda was employed as Sales and Customer Services Manager for Hertz Car Leasing in Auckland for 11 years. Lynda believes in developing long term relationships with both her clients and colleagues and this could be no more evident from the repeat and referral business over the years, testament to her high level of customer service. She loves working under the Harcourts banner, they are industry leaders in technology, people focused (whether they be clients or staff) and being voted Most Trusted Real Estate Company five years running Lynda has no doubt she is amongst company that share the same philosophy she does. Just like her clients she takes pride in how their properties are presented and is hands on right throughout the marketing process. She understands how keeping in touch is vital to achieve a successful outcome. Living and working in her neighbourhood Lynda is excited about the rapid growth and development currently taking place in the Mt Maunganui/Papamoa area. She is a sales consultant that has experience, feels passionate about the company she works for, delivers a professional service and has a genuine interest in you. Rachel has a genuine compassion for people and this is displayed in the trusting relationships she builds with her clients. She works with passion and loves every part of what her business entails. Rachel works relentlessly and consistently to help you achieve your desired result. She has a reputation for her integrity and honesty wrapped up in a vibrant personality. Her testimonials illustrate a proven track record from happy Vendors and Purchasers and are a direct result from the skills attained during her years of marketing experience and also time in Management and Leadership Banking. Rachel gives confident, professional advice with a high level of business acumen. Her polished negotiation skills deliver top results in the pursuit of the best possible outcome for her clients. Rachel effectively tailors a sharply targeted, solution-based marketing plan which ensures maximum exposure for your property. Rachel resides and specialises in Papamoa. She has travelled overseas and been immersed in different cultures allowing her to understand people from all backgrounds and can relate well to everyone. Rachel’s results speak for themselves so call today for a no obligation chat about your Real Estate needs. If you’re looking for someone who provides care and diligence, matched with the backing of an award-winning brand offering a high set of corporate ethics to manage the sale and purchase of your most treasured asset, then look no further than Rachel Griffiths. 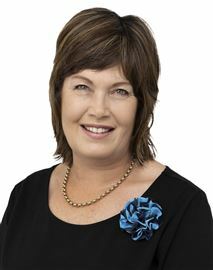 With over 15 years’ industry experience within Papamoa’s real estate community, a passion to deliver exceptional customer service and a drive to achieve outstanding results on your behalf, Rachel will do everything she can to ensure that the entire process of the sale of your home is successful and stress-free from beginning to end. Her focus is building successful relationships with clients, and providing excellent service and communication through hard work and understanding her clients’ needs. Her reputation for professionalism, integrity and getting results precedes her. She is passionate about her work and is an honest, caring person when dealing with clients, customers and colleagues alike. Not only does she know the local real estate market, but she understands the lie-of-the-land including the wants and needs of many of our locals. Having lived in Papamoa for nearly 16 years, and with her children in local schools, she’s enjoyed seeing our community blossom. Don’t hesitate “2 RING RACH” if you are considering buying, selling, are currently on the market and would like a fresh approach to selling, or know someone who is. Find out how she can help you achieve the best outcome for all your real estate goals and dreams; she won’t let you down. Testimonial: “Rachel’s work for my clients has always been beyond exceptional. Nothing is more important to Rachel than seeing happy, satisfied parties at the end of a seamless transaction. Rachel’s tenacity, enthusiasm, commitment to, and trust built with my clients has helped achieved great results. Rachel’s more than ready to flourish as a successful salesperson and I know she’ll be highly successful in all aspects of her career. I wish her well.” – Ben Carter Rural Sales Specialist. Stephanie has come from a strong customer service and administration background. This opportunity led to working locally in property management for the past three years prior to joining Harcourts Advantage to undertake a similar role in our fast growing Property Management Division. Customer service is key and Stephanie believes that communication, education and being positive and proactive are most important attributes when it comes to effectively managing property and tenants. Along with a professional yet bubbly personality, Stephanie is extremely passionate and motivated to achieve the best results for her clients, maximising your investment. Stephanie is constantly being kept well informed and up to date with legislation and major changes to the industry. She is always happy to help and advise prospective investors to ensure they get the best return and management. Working in a team environment at Harcourts gives Stephanie the opportunity to discuss local trends and challenges that owning a rental property or portfolio can generate from time to time. Providing profitable outcomes through rigid tenant checks to ensure we only rent to qualified tenants is your peace of mind. 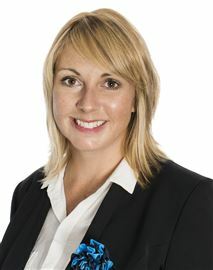 If you have any queries at all please call Stephanie anytime for a no obligation chat about your rental portfolio. Beach Home With Wow Factor! Your Very Own Beach Pad! You Have Found The One! Value. View. Vendor Says Sell! Brand New! Ready For You!